PA 51 is the least of her troubles. Since Gov. Whitmer will shift 40% of her gas tax to fund other pet projects of hers, her tax is DOA. Is this the false narrative being peddled around Lansing? Show us how 40% of the gas tax dollars are being used for anything but roads . Tom Gantert did a piece a few weeks ago where he went over Gov. Whitmer's numbers after she finally produced something for people to actually look at. Much like what the republicans did back around '17, when the gas tax hike and vehicle registration hike they jammed through (and no one wanted then, either) finally kicked into effect, without much fanfare they quietly pulled some $400-million out of transportation and snuck it back into the GF, hoping that no one would be the wiser. Gov. Whitmer's plan does essentially the same thing. She wants to take money out of the transportation budget after her tax plan is implemented and quietly shift it into the GF. This was after she told people with a straight face not even one year ago this whopper of a lie. Bottom line: the $2.5 billion constantly bandied about WILL NOT be going towards roads as she keeps telling people. And if you want to attack those links because of its source, The Bridge essentially reported the very same thing back on March 5th. 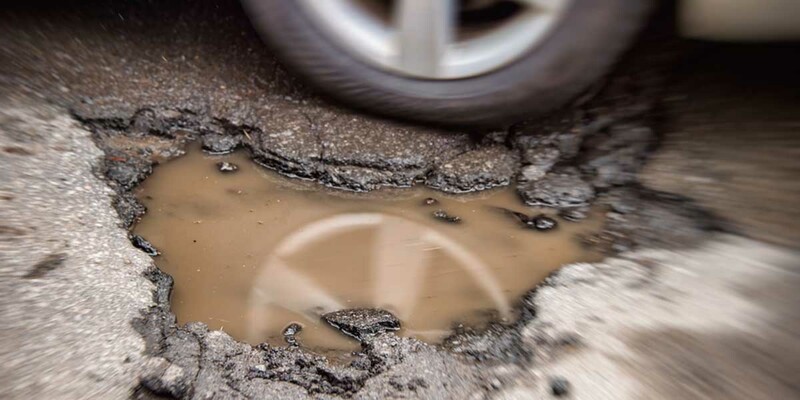 "The gas tax hike would raise $2.5 billion more per year to spend on fixing Michigan’s crumbling roads, addressing a central Whitmer campaign promise. Getting a win on the gas tax sets in motion a cascade of money by freeing up $600 million in income tax dollars that would otherwise be used for roads. " Gov. Whitmer is trying to fool the rubes into believing that won't happen. The reason why her gas tax is not getting very much traction is because not everyone is naive & gullible as she and her handlers think. Only in Lansing do road agencies get more money and we call them "losers". Michigan has too large of a road network to support with the current funding model. New dollars need to be prioritized and the idea that a road that gets a few thousand trips a day is equal to a road that gets tens or hundred of thousands of trips per day is absurd. So what's new? Just keep raising taxes so Trumps great tax plan will make everyone better off. Remember when he said what do you have to loose? I love Mi. but it isn't cheap to live here. Peace R.L. Actually RL, you're wrong on that. https://www.missourieconomy.org/indicators/cost_of_living/. I know it's Missourie but still interesting and in line with others. Michigan is a low COL state. Why haven't we heard anything from the trucking industry in the State of Michigan? Does this fuel tax increase include "diesel fuel" and is it taxed at the same rate? Also, lets not forget the outrageous "load limits" Michigan allows for its trucks. This load limit issue needs to be addressed. Why replace a road then the next day allow trucks to tear them up with the excive weight we allow them to carry. We can't rely on the head of our transportation department because he has been with the department for over thirty years and he is in the truckers back pocket. And last but not lease are we using "best practices" when we are replacing the roads. FROM GRAND RAPIDS TO SAGINAW. Great idea. We should have had toll roads a long time ago. Want to rebuild the roads and solve another problem along the way? Simple, raise fuel taxes at the national level and redistribute the revenue proportionally with regard to where it is collected. And get rid of that worthless CAFE legislation along the way. We've got some of the most spineless and partisan representation going. They can't do a thing without consulting "the party" and if one party or a member of it outrages the idiots in the press, then spend all their and our time bitching about it. We have next to zero policies on energy that might anger the public. We are the laughing stock of the world on that issue. We have CAFE which is only a method to penalize manufacturers and provide meaningless statistics for some idiot running for office. So face the facts, kill it and do something right for a change. The following quotation came from an online Detroit Free Press news article: "Whitmer's proposal would hike taxes for both regular and diesel fuel." Previously, Governor Snyder's per gallon fuel tax increase (beginning in 2017) had raised gasoline by 7.3 cents and diesel by 11.3 cents, then making each identical at 26.3 cents. To me that means that gasoline-fueled vehicles had for a long time been subsidizing the wear and tear of our roadways by heavier trucks than allowed in other states. I believe that heavily-travelled roadways are of necessity built for increased traffic use and density, making them more expensive to construct and repair than lesser-travelled rural roadways. I appreciated reading that the new taxes would be targeted (first, I assume) for roads that are the most economically important for our state. I hope that Michigan auto insurance premiums can be decreased as compensation for increased fossil fuel taxation. Urbanized roads may get more traffic, but this is already accounted for in the ACT 51 formula with a distribution based on city/village census population at 60% and miles of roads (40%). Consequently, a more densely populated, or urban, city/village already receives more money per mile of road than a less densely populated, rural, city/village to account for the added traffic and lanes. (see page 3 of House Fiscal Agency Memorandum of May 1, 2018, “MTF Distribution Formula to Local Road Agencies). As my Daddy said many years ago. If it's from a democrat? Get ready to pay more and get less. Every time they'll screw you and not even give you a kiss. With this governor it's already proving old dad the prophet he was. Is this why the city of Detroit has MDOT fixing city streets? In the Ann Arbor area, there are many residential roads that are designated as private roads. The costs of surfacing and maintenance are borne by the "Road Association" for that private road. I like this model. It reserves public funds for the public roads. It creates smaller decision-making groups that have a personal stake in the choices that they make for the funding needed to maintain their road, in the manner that they decide to obtain. It diverts man and machinery needs from the local or state transportation departments into the private business sector. Perhaps institute a 'major roadway fee', payable to the DOT, to be paid by businesses and residences along the public roads, based on property/road frontage, similar to dust control application fees. Major urban roads that would receive a lower percentage of state funding could be additionally funded by a similar 'major urban roadway fee' along the major roads and at at attraction/lodging/eatery businesses. Tourists would pay into the user funding in those ways. Or... Increase the state income tax! My mind prefers funding that is more closely matched to the user. I fail to see why everybody is tying themselves in knots over the distribution of road funds. A road, within broad limits, is a binary proposition. It either provides safe, efficient service or it does not. Assuring that all roads do so would automatically distribute the funds to where they were needed most. Heavily traveled, high capacity roads in the metro Detroit area would receive the funds necessary to keep them in good shape, as would lightly traveled rural roads that provide essential service to the people who need them. Admittedly, my proposal would require a higher level of investment in road assessment in order to direct funds where they were needed. Money would flow to whatever agency was responsible for a given road.